Working to help small businesses thrive in Northwest Oklahoma City is the mission of Jill McCartney. As the Chief Executive Officer of the Northwest Oklahoma City Chamber, she sets a vision and manages the operations for this organization that works to build a strong local community. Having grown up in the area, she is a graduate of Putnam City Schools and the University of Oklahoma. She’s worked as a press secretary on Capitol Hill in Washington DC and over a dozen political campaigns at the federal, state, and local levels, as well as running a specialty gift store and managing projects for a retail designer. Having lived in DC, Dallas and Atlanta, she returned to Oklahoma in 2003, and worked for the Oklahoma Legislature for five years. 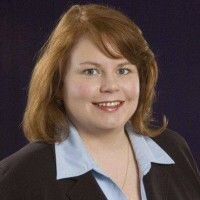 In late 2008 she took over the Northwest Oklahoma City Chamber, and guides them in advocating for small businesses, developing successful programs and meaningful relationships, and helping the community prosper. 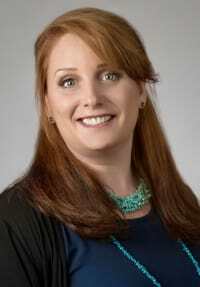 Jill is a recent graduate of the U.S. Chamber’s Institute for Organization Management, a four year intensive program of non-profit education for association and chamber leaders. Upon completion of 96 hours of classes in leadership, board governance, finance, legal, communications, HR, and event management, she has earned the right to use the IOM designation following her name. To contact the Chamber staff, please email info@nwokc.com.